For those who wasted four hours of their Sunday watching what may have been the most boring Super Bowl in recent memory, fear not! While there was a whole lot of nothing going on in Atlanta, it was a much more eventful weekend for a host of Thunderbird teams. The weekend brought a bit of a mixed bag for UBC squads, nevertheless it was a productive weekend for the ’Birds. After a series sweep at the University of Alberta two weeks ago, the T-Birds entered the weekend at the top of the Canada West tournament standings for Rugby 7s. They went 2-1 on Saturday in their opening game at the University of Fraser Valley-hosted tournament — and despite the windy and snowy conditions, they only improved upon that performance on Sunday. They overcame early deficits in their first and third games and put up an impressive 50-0 scoreline against Fraser Valley in their second. Although their lead has narrowed to just two points, the T-Birds remain atop the cumulative tournament standings going into the final series, which will be held at UBC on March 2 and 3. 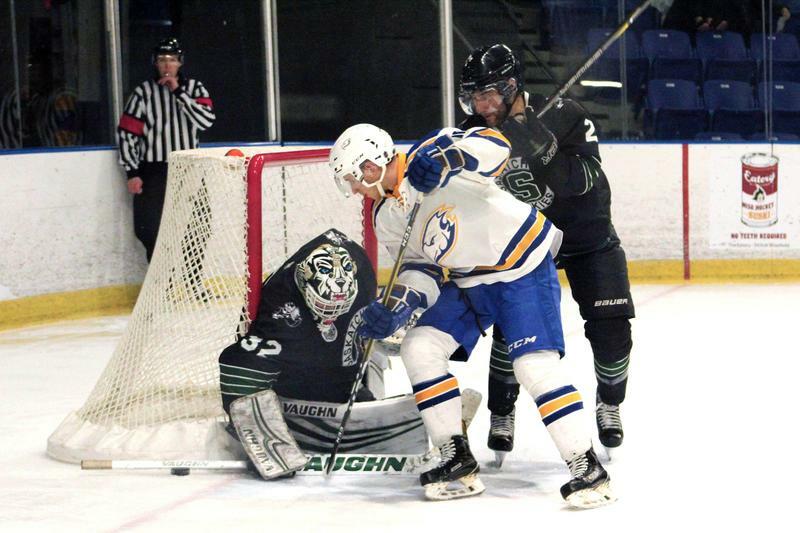 A pair of losses to the University of Alberta this weekend added a blemish to what, having gone undefeated for 16 games, was a previously spotless 17-1 record for the Thunderbirds. 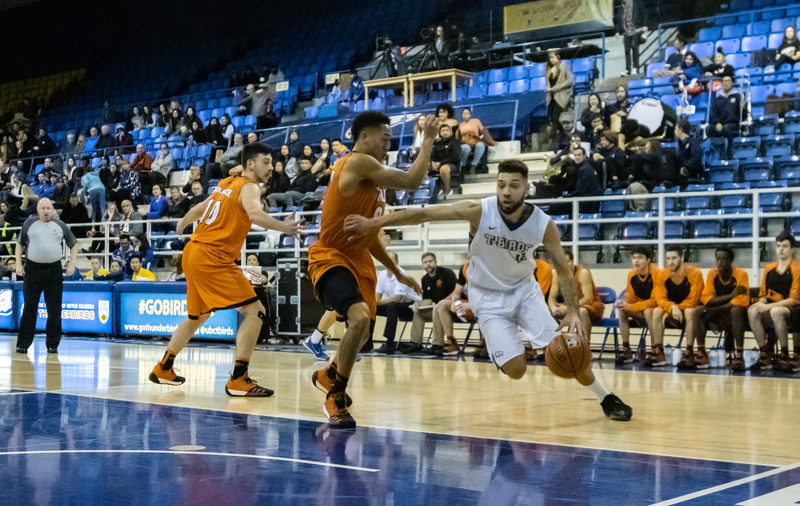 Despite 25 points from consistent performer Jadon Cohee, UBC was unable to contain Golden Bears power forward Brody Clarke, who put up a double-double and a career-high 40 points. The Canada West number-two T-Birds have a first-round bye in the playoffs, so their first showing will be a three-game home stand in the quarterfinal round from February 14 to 16. They also moved down to third in Canada West for playoff standings and will face the second-highest-ranked remaining seed after the games coming up this weekend. It was an especially eventful weekend for men’s hockey forward Chase Clayton, who notched his first career hat trick Saturday night on home ice as the UBC squad faced off against the Manitoba Bisons. Clayton’s goals, plus strikes by Tyler Sandhu, Adam Rossignol and Colton Kehler, were good for a commanding 6-2 victory over Manitoba. After a 0-2 loss to the Bisons Friday night, the ’Birds came roaring back with solid performances from both their offensive and defensive sides. Going into their final regular season games next weekend having already clinched a playoff spot, the Thunderbirds stand at 12-12-2. Following a strong showing last weekend, UBC track and field had a dominant performance at the Harry Jerome Indoor Games at the Richmond Oval. On the women’s side, first-year Sienna Lalonde won the 600-metre with a time of 1:34.3. Mikayla Tinkham took second place in the 1,500-metre with a time of 4:40.08, trailing the first-place finisher by just four one-hundredths of a second. The men’s team saw standout performances from Paul Fisher, who took second place in the 600-metre with a time of 1:24.45, and from Kenneth Schultze, whose time of 8.44 was good for second place in the 60-metre hurdles. At the end of the day, the team’s performance was good enough for their fourth-consecutive Pacific World Cup, awarded to the best-performing university team of the meet. 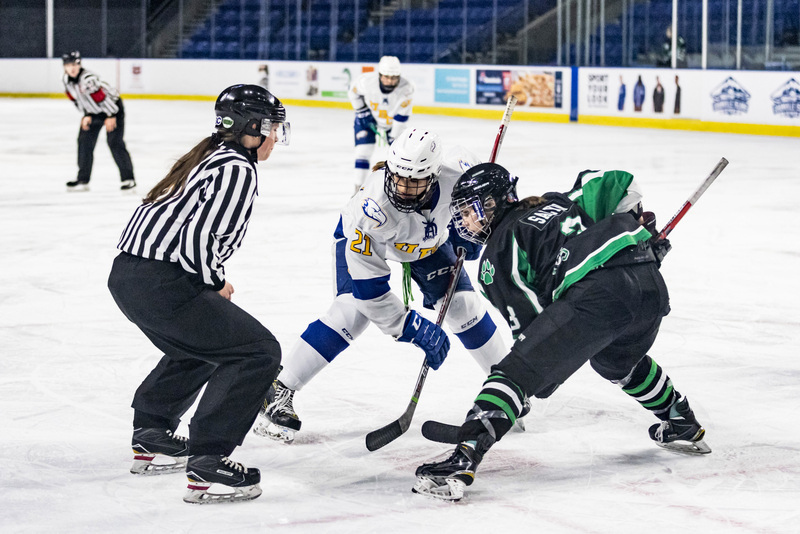 Still on the hunt for a playoff berth, the UBC women played a hard-fought series against the University of Manitoba Bisons that saw both games extend past the end of regulation time. Things wouldn’t go the Thunderbirds’ way on Friday night, as Bison Natasha Kostenko found the net 2:30 into the first overtime period. Undeterred, on Saturday, the ’Birds slugged it out against a strong Manitoba side, taking the lead 2-1 with a power play goal from Hannah Koroll with 9:33 to go in the third. With the clock winding down, another Bison strike by Kostenko tied the contest with just three seconds remaining. After two scoreless overtime periods, a shootout goal from UBC’s Mathea Fischer finally put the contest to bed, snapping Manitoba’s seven-game win streak. The win puts them in third in Canada West, with one weekend left of regular season play.